with astonishing success. Within four days, at a loss of 10,000 casualties, the Canadians had captured what the French considered impregnable. (France had suffered 130,000 casualties on this very ridge since 1914.) Yet, after the war came the time of reckoning. For how does a small nation like Canada remember 67,000 war dead? Discover how ordinary Canadians lived through extraordinary times. 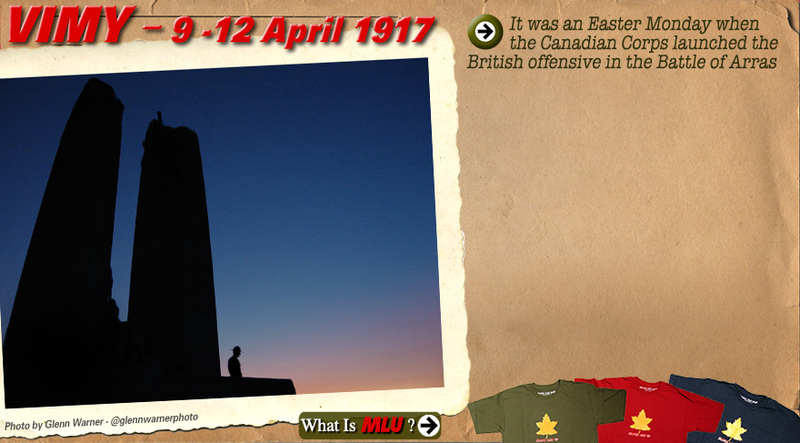 Vintage WW1 Canada T-Shirts & Hoodies. © Maple Leaf Up. All Rights Reserved. Site Design by The Whole Shebang.